Relationships are more important than any adversity. Multiple adverse circumstances or experiences can be buffered by the healthy, positive relational connection in our lives. We live a relational driven life- our relationships with others impact us the most. The nature and number of healthy, positive relationships we have is key to our resilience, healing and recovery. Human beings are relational creatures and our behaviors, actions, feelings, and experiences are contagious to others. 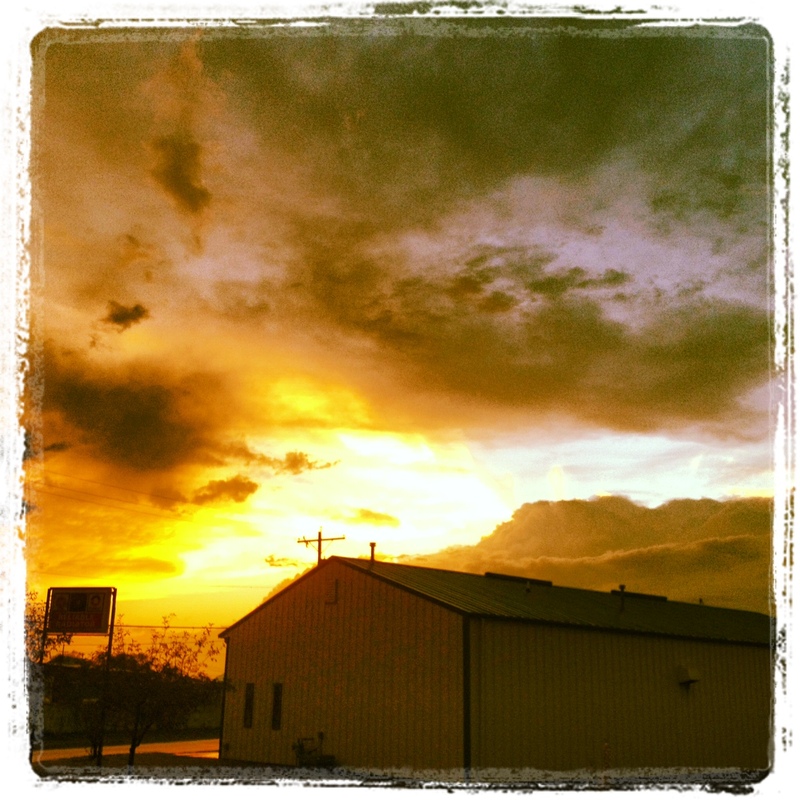 A trauma informed community and relational milieu is a healing community. Communication is all about rupture + repair, disconnection + connection — it is essential to explicitly acknowledge our differences, assumptions, implicit biases to build relationships. Therapeutic dosing and therapeutic spacing is important to provide tiny, repetitive doses of engagement, distancing, then re-engagement to support change. Check out this Child Trauma Academy Resource of many of the slides and content presented during this training. An opportunity to build and strengthen resilience through meaningful art-based interactions and interventions that explore safety, change, vulnerability, and regulation. Thank you Dr. Perry for returning to Cleveland and another great day of trauma informed learning! I’ve put together a round up of recent links and posts that highlight the role of creativity in managing challenging times, finding hope, and empowering resilience. I hope you find them as inspiring and helpful as I have. As I was reading these posts over the last couple of months, they have been comforting messages about the importance of creative expression to make sense of new shifts, uncertain moments, and distressing times. They have also been amazing reminders of the power art and creative expression hold to connect us to our voice and each other. On this day, I am grateful for all of this. 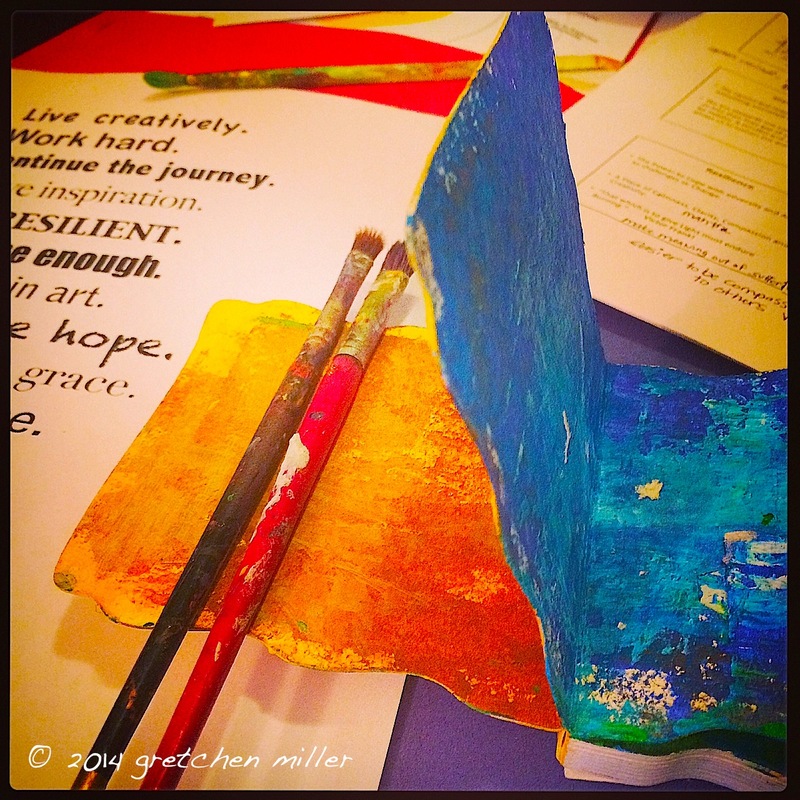 I had a great time at Lani Gerity‘s workshop this past week-end at the Mid Atlantic Play Therapy Institute: Visual Art Journaling for Teens and Adults in Treatment: Creative, Messy, and Contained. The day was an artful exploration of resilience building, flourishing, intention setting, strength reflection, and lots of creative goodness to fill our handmade art journals that we made from hanging file folders, basic manila file folders for the signature pages inside, and a simple pamphlet stitch to bind it all together. Upon returning home, as I was unpacking my supplies, handouts, and art from the workshop, I reflected on Lani’s teachings from the day prior and the power of art making to help us cope in distressing and challenging times. Three Blessings Exercise– Dr. Martin Seligman suggests this practice as a way to foster well-being and decrease depression. This exercise encourages us to make note of three things (for one week) what went well throughout our day and to reflect on why they went well (i.e. “why did this happen?”). According to the research of Dr. Seligman, focusing (and dwelling) on our blessings (what is good, going right with life) helps increase our well-being and decreases anxiety, depression that dwelling on bad events can actually make a lot worse. Lani puts an art-based spin to this exercise by suggesting to create art about three good things (collectively in one image or in separate images). In one of Lani’s Happy Artist’s Life Workshops a few years ago for 6 Degrees of Creativity I even made a Pinterest board to collect images and content inspired by things that made me happy. Re-visiting this board made me thankful that I created it— and maybe it is a good time to start adding to it again. 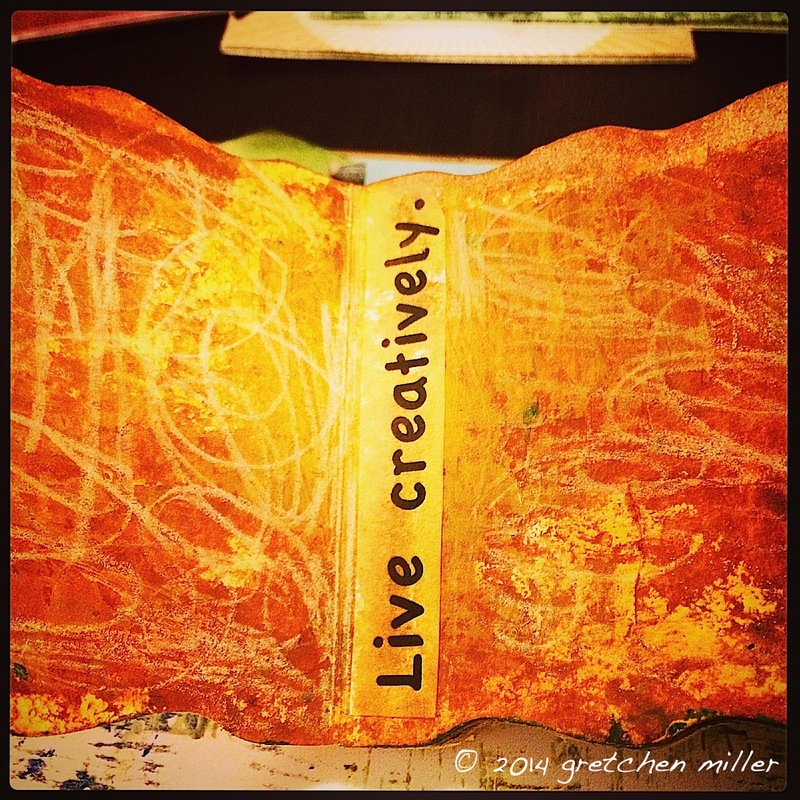 Daily Creative Practice– Citing the work and practice of art therapy pioneer Edith Kramer, Lani shared that creating art everyday helps guide skillfulness (mastery). This type of practice has a direct connection to nurturing our resilience, regulation, and inspiring us to be and do the best that we can. I love that this reminder was included as part of the day’s offerings- and very much agree with these findings! Sensory Relief Art- This prompt (originally to create an image representing a mini vacation and to incorporate the senses) inspired a collage that was connected to the importance of self-care, focusing on the here & now, and finding refuge & breathe in this space. I used a photograph of an old collage I created, pieces of torn (blue) magazine pages, distressed ink, and paint pens. Lots of relief in this image! Thanks to the Lani, all the participants I met at the workshop, and the small group of fellow art journalers that I worked with throughout the day. I look forward to incorporating content we learned into my groupwork and adding it to my art journaling ideas and inspiration. 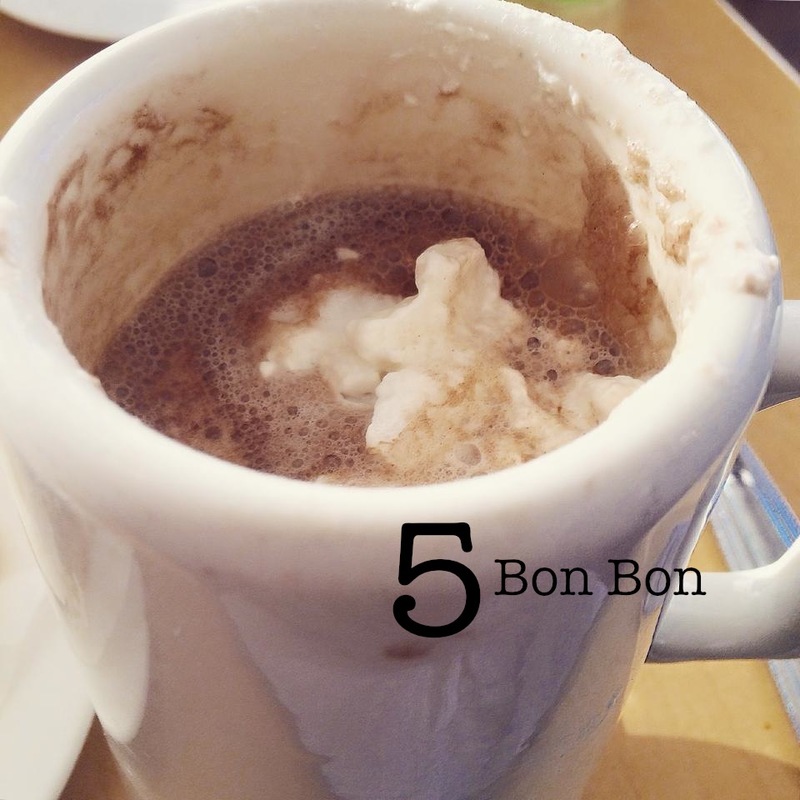 Back in November, my friend Lori and I decided to take on this Hot Chocolates to Try in Cleveland Top 10 List published by Scene Magazine. Over the last 5 months we’ve paused our days to meet up almost every other week to take on one of the destinations featured (with the exception of Angel Falls Coffee Company in Akron, which we chose another Cleveland stop instead). Not only do I loooove drinking hot chocolate to keep warm in the winter, I’ve really enjoyed this adventure as a catalyst to slowing down, enjoying good company & conversation, as well as a great reason for me to get out and about more during these cold, exhausting months to visit some familiar places and get to know some new ones. Every stop was worth the trip! 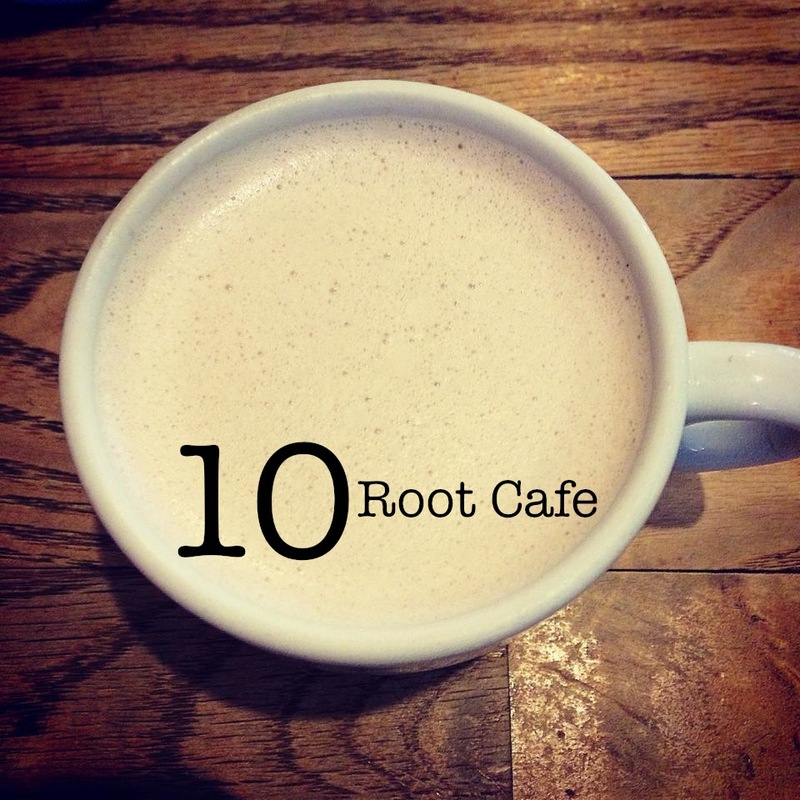 The Root Cafe in Lakewood was an early December stop on this adventure. I’m pretty sure I have had the Root’s hot chocolate before when meeting there for special projects and work stuff, but this time I was taking in the experience through our hot chocolate challenge taste buds. 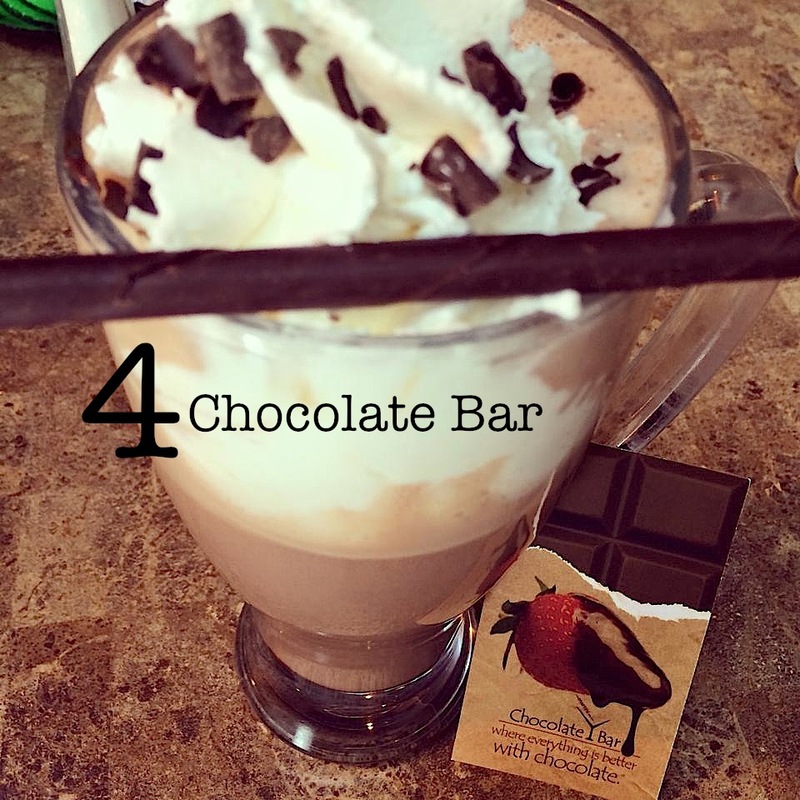 I would suggest trying the Mexican Cocoa (Lori’s choice!) with cinnamon, cayenne, and vanilla for a kick in your cup! 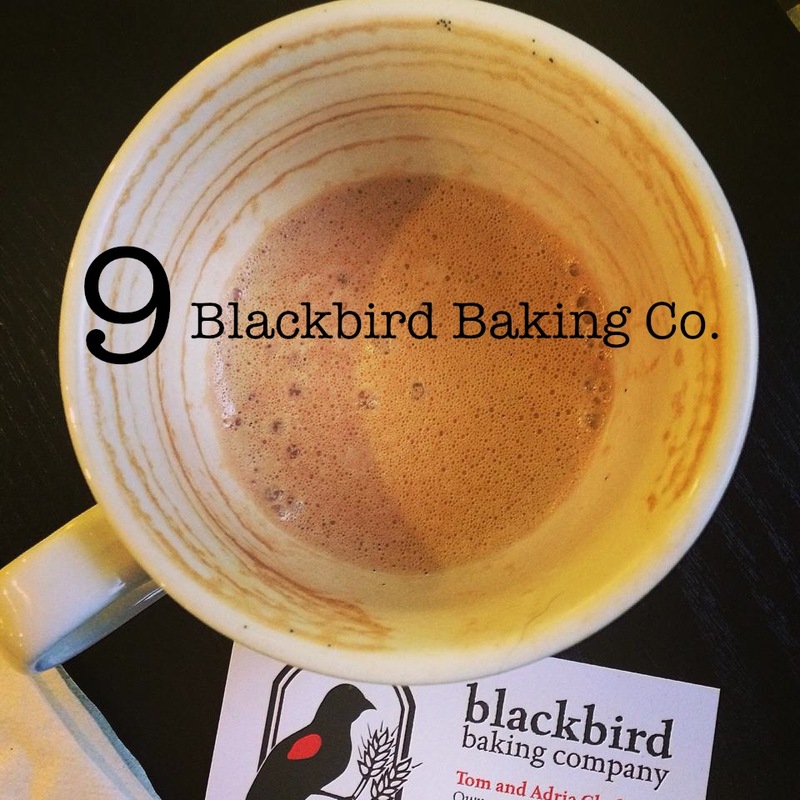 Mid December was our trip to Blackbird Baking Company, (also in Lakewood)! Blackbird’s hot chocolate had a dark chocolate taste to it, which I think prepared me up for future stops on our agenda! 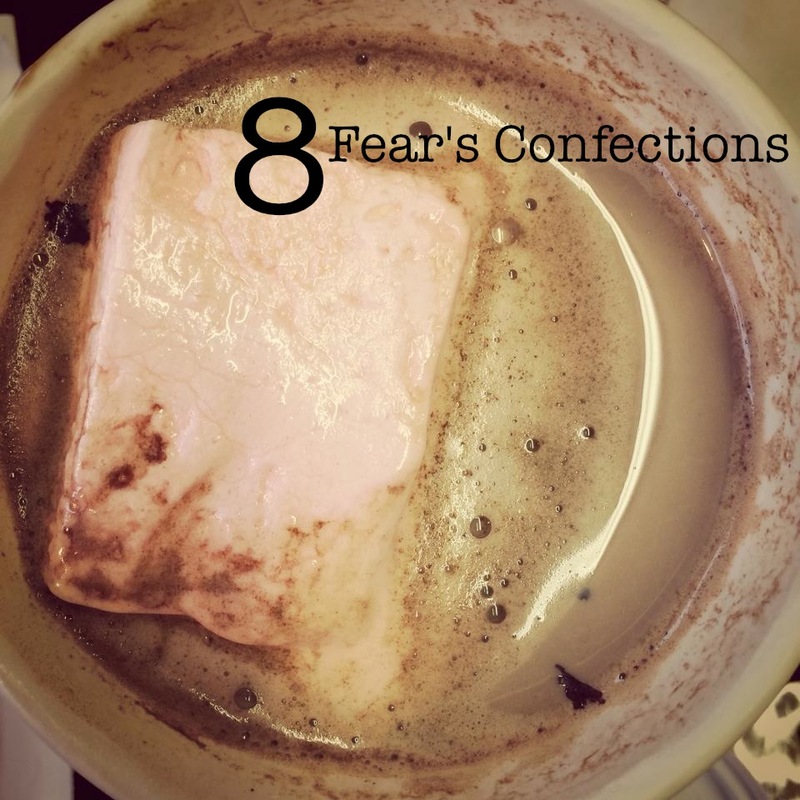 Another Lakewood destination, Fear’s Confections kicked off our tour in November right before Thanksgiving. I loved the gourmet homemade cinnamon marshmallow that came in my hot chocolate! Yum! In mid January, Lori and I took on a Hot Chocolate Double Header and did two tastings in one day! Sugar high! One of those stops was at Civilization in Tremont, where I enjoyed this mug of chocolate goodness….Definite bonus points on the ranking system for whipped cream! 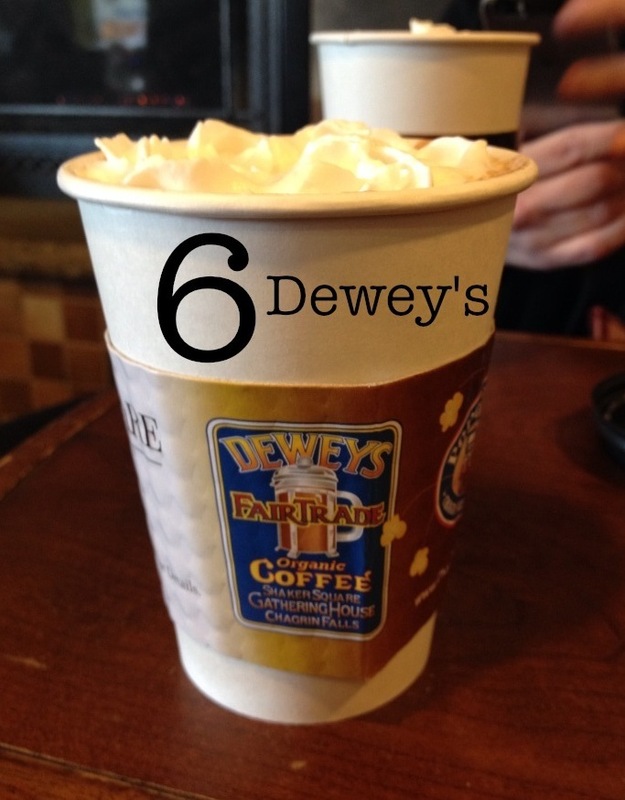 The finale of our adventure took place at Dewey’s in Shaker Square, which was a super comfy and inviting place to enjoy our creamy hot chocolate next to their fireplace! This cocoa was cinnamon good! Towards the end of our tour, we visited Downtown Cleveland’s Chocolate Bar, which was a.maz.ing. With a hot chocolate menu of over 10 flavors, it was hard to choose just one. We went with our server’s recommendation of the “Extra Dark” for the absolute chocolate experience and it did not disappoint, topped with thick whipped cream, chocolate stick, and shavings. 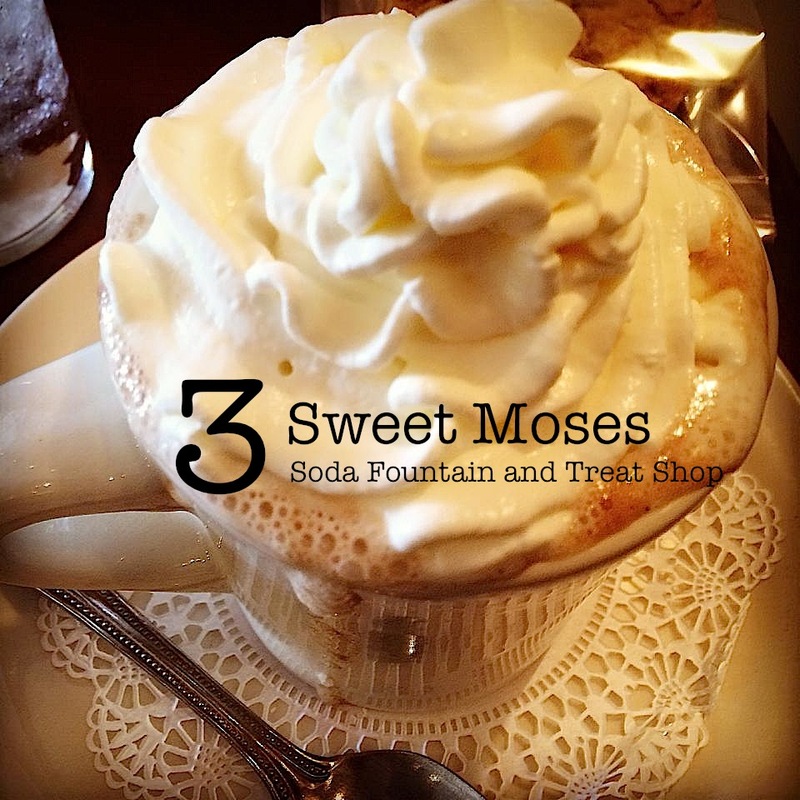 Sweet Moses Soda Fountain and Treat Shop in Cleveland’s Gordon Square Arts District was our first stop after the New Year started, and the first and only tasty hot chocolate on the tour that came with whipped cream and a marshmallow square! Yes! I reeeaaallly enjoyed their vintage hot chocolate recipe and their overall drink presentation was classic! Our stop to Phoenix Coffee in Ohio City was a super snowy day in early February, which was perfect timing for hot chocolate drinking and worth braving the snowbanked street parking— this heaping cup tasted awesome! 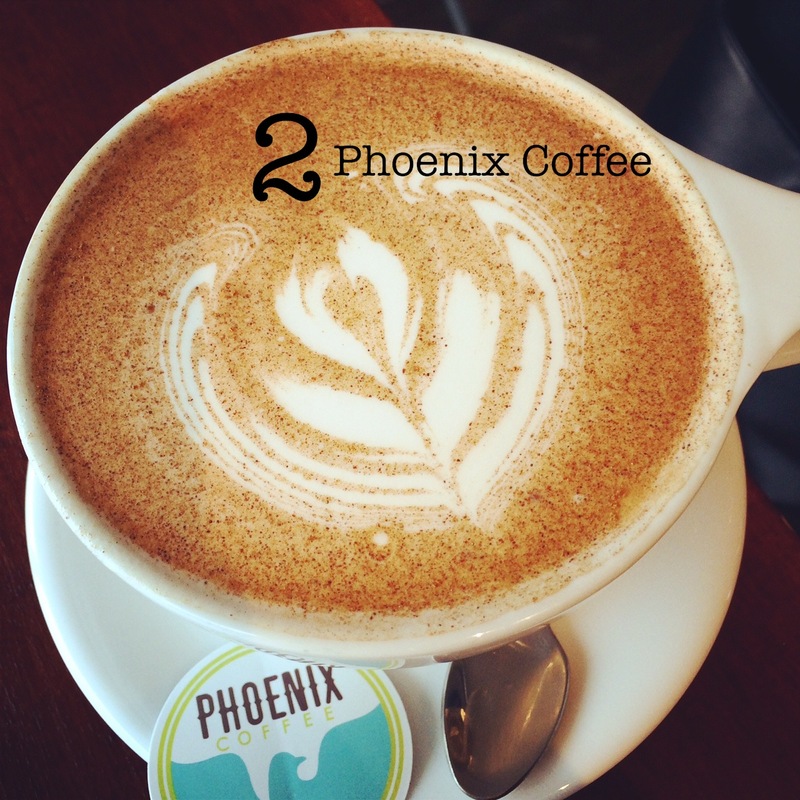 Phoenix also receives an honorable mention for the best looking hot chocolate on this list! And…. this came with a separate cup of real whipped cream for my perfect hot chocolate drinking experience….Win, win! 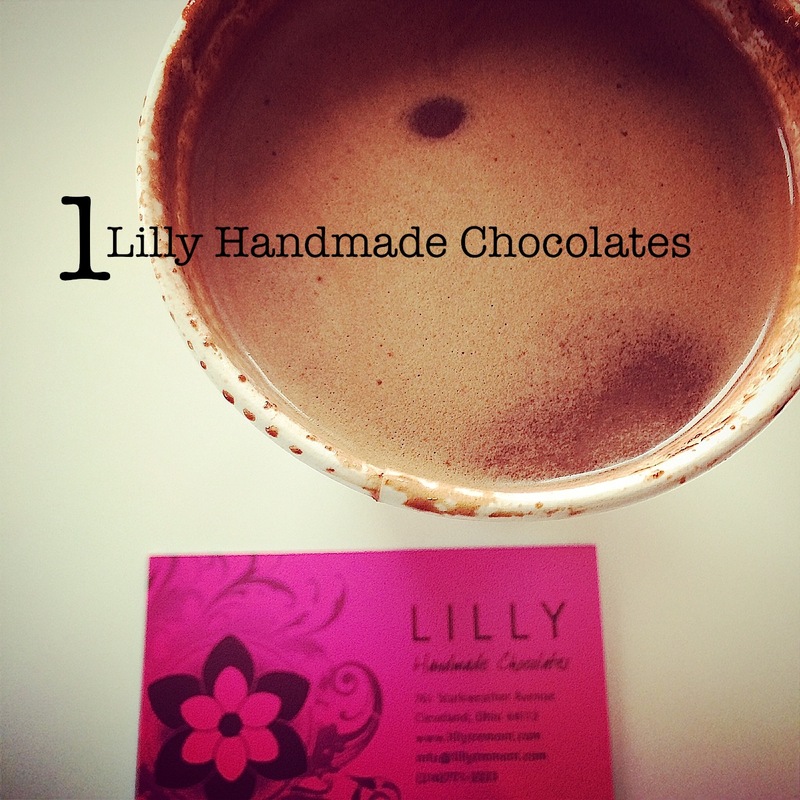 We added Lilly Handmade Chocolates as a random substitute and part of our Tremont Hot Chocolate Double Header in January and boy, I am glad we did! Wow— their Signature Drinking Chocolate, an European Style blend of milk, dark, and white chocolate with cream and Aztec spices was sooooo creamy good and rich. It tasted like old fashioned chocolate pudding, hot off the stove in liquid form. Even without whipped cream I adored it and savored each drop-! Love! This challenge was so much fun! 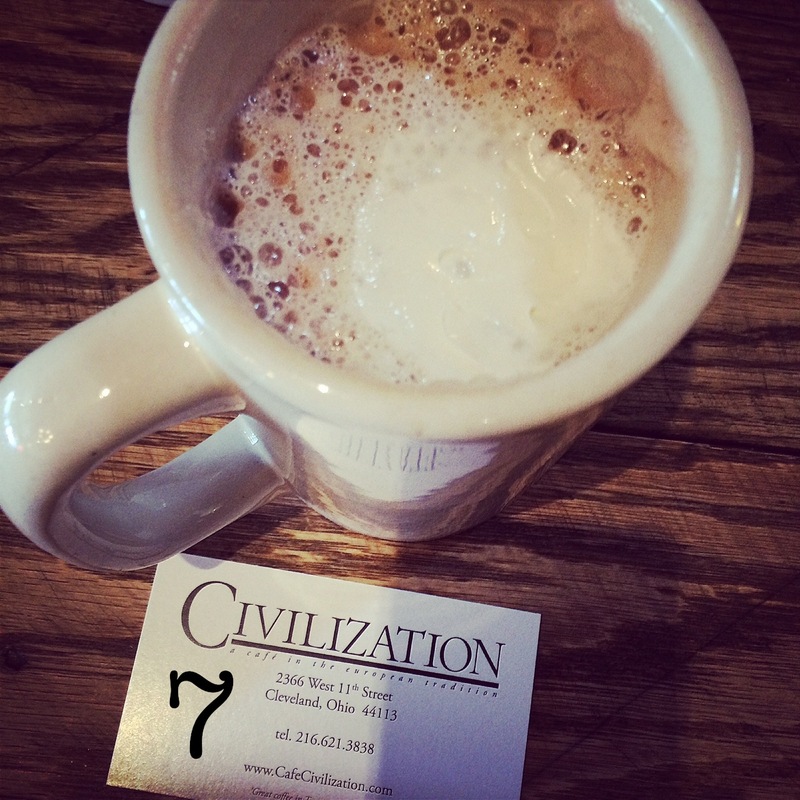 Thanks to all the places we visited throughout this winter and to Scene Magazine for the inspiration– a great way to support and get to know more local businesses in Cleveland area neighborhoods in the spirit of hot chocolate drinking! 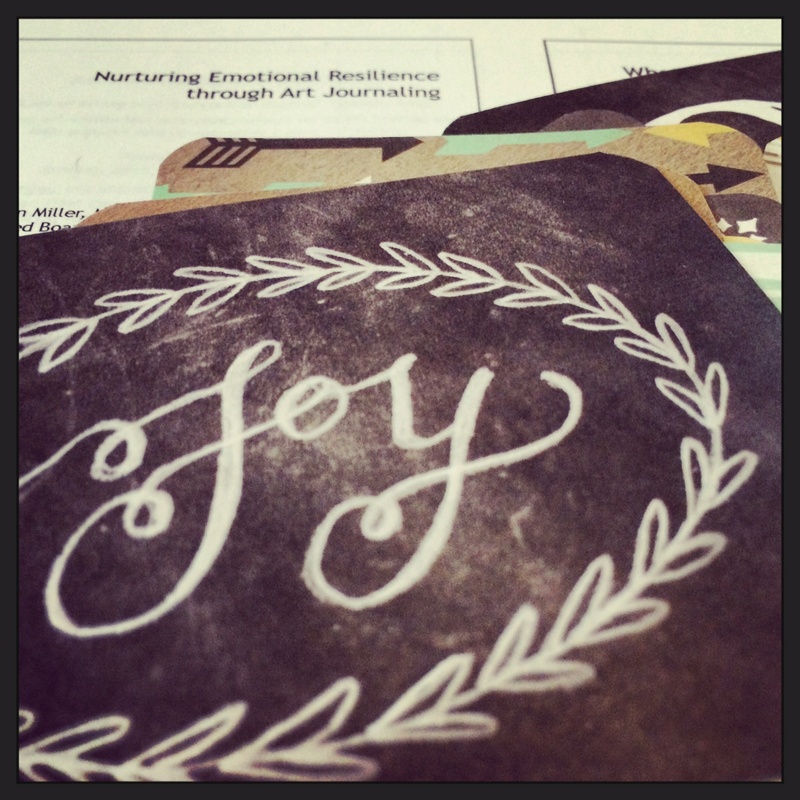 And support some emotional resilience related to the winter around us…. I’ve been using a lot of acrylic paint on the raw surface of the chipboard page that I’ve stripped of its glossy coating and its former life of a children’s board book. Over the dried acrylic paint I’ve also been using some white colored pencil. It’s been a super liberating process. Each of these beginning pages are forming a visual pledge connected to my professional and creative work… to instill, engage with, and honor. It’s been a super busy last couple of weeks and I am grateful within that time I was able to schedule in attending a day of the National Institute for Trauma and Loss in Children’s Annual Childhood Trauma Practitioner’s Assembly. Acknowledge and Apply Your Strengths- What personal strengths can you bring to the situation? Find & Use the Positives- Using your strengths, how can you make the situation better? Accept the Uncontrollable- What parts are not in your control? What are you willing to give up? Focus on the Controllable- What can you control (thoughts, feelings, actions)? Reframing invites a different way of seeing the experience and challenges us to explore our beliefs about the situation and to change or reverse its meaning. This perspective can help us manage the experience better and from a strength-based and empowering mind set. I was super happy that this workshop also included shout outs to the pioneering positive psychology work of Dr. Martin Seligman and his site authentichappiness.org. On life purpose, Nora discussed how looking beyond ourselves and situations helps discover, give voice, and action to the bigger meaning and calling of our existence, no matter what our past and circumstances. She cited the work of Dr. Bill Millard and his Life Calling Model, which outlines a series of values rooted in character, faith, and service connected to our strengths, passion, and experiences to explore life purpose. Foundational Values are at the core of our being and helps form the way we think about the world, ourselves, and others. Our values are the basis of our choices (Millard, 2012). I was inspired by Nora’s content and these presented models not only in relationship to my work in trauma with survivors, but as another addition to covenant based caregiving that I learned about last month. 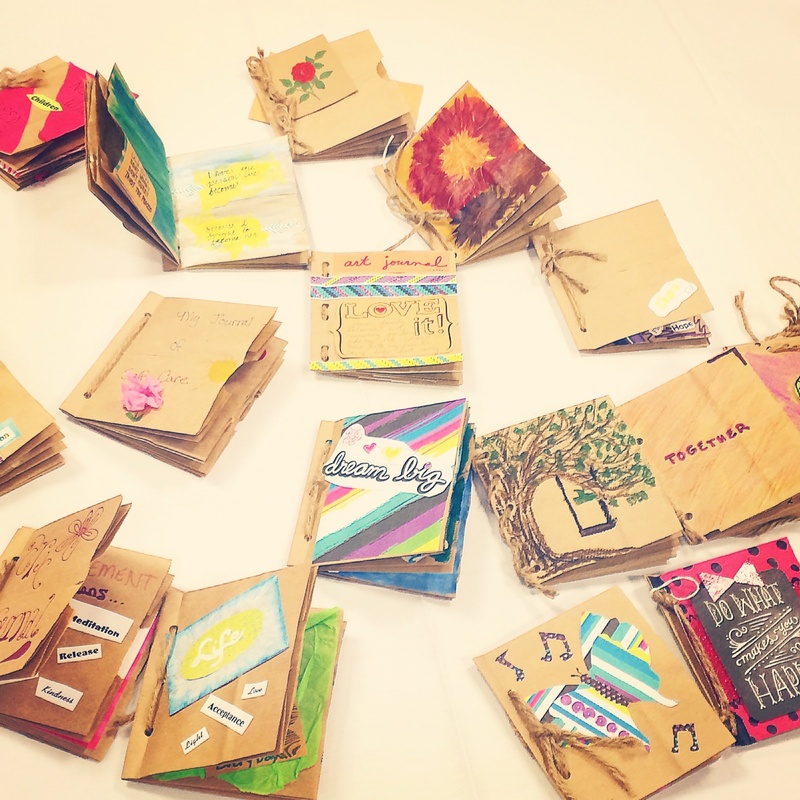 More inspiration and awesome ideas for transforming this stuff into altered book form! Thank you Nora! It was such a pleasure to work with this group! Thank you to everyone who attended! This week was our annual staff retreat and this year the day was completely dedicated to the impact of trauma exposure, self-care strategies, and resiliency. The retreat’s main speaker was Cynthia Vrabel, MD, who is the Medical Director of FrontLine Service here in Cleveland. Dr. Vrabel’s work includes an interest in research and program development to address the issue of secondary traumatic stress in clinicians and first responders. I found the content presented throughout the day really spoke to the realities, challenges, & struggles of trauma work and exposure related to compassion fatigue, vicarious trauma, and burnout, as well as provided nurturing and encouraging staff self-care strategies and takeaways to implement and build upon as individuals, within programming, and agency wide. It was re-energizing to spend the day receiving Dr. Vrabel’s teachings and reminders rooted in the work of Dr. Bruce Perry, Laura van Dernoot Lipsky, Brene Brown, and many others who offer support & inspiration related to trauma focused work. Create a Transition Zone: A space, ritual or practice that supports us to create a healthier boundary and balance between our personal life and work. In the same spirit, this idea reminded me to re-visit the article, 10 Easy Steps to Creating a Peaceful Home Retreat published by the Joyful Heart Foundation‘s Reunion Magazine (Issue 2). This resource provides many sensory based suggestions that can help cultivate routines and areas within the space we live to shift into a place of calmness, peace, and relaxation. Using symbolic objects, scents, music, journaling, creative expression, & more are all offered as options to integrate this into self care practice. Covenant Based Caregiving: A covenant can be defined as “a written agreement or promise…especially for the performance of some action.” What are your covenants, values, or intentions related to bringing your “best self” to your life, work and service….to not only others, but to yourself as well? We were given a worksheet created by Dr. Vrabel to explore discovering our own covenants that I thought could easily be explored in visual form as well (I thought about making a collage or book!). What are your own values and promises to yourself that you can make about living, working, loving, being, becoming, believing, promoting, striving, and seeking that support covenant caregiving vs. “on demand” caregiving? Compassion Satisfaction: Compassion satisfaction is the enjoyment created from being able to help other people. It is the opposite of Compassion Fatigue (the emotional and physical exhaustion of caring for others) or Vicarious Trauma (becoming traumatized ourselves as a result of being exposed to stories and images of suffering). I am always interested in learning more about concepts connected to Post Traumatic Growth and how very stressful or traumatic situations can transform into positive and life affirming experiences. Compassion Satisfaction supports this experience for the helper or caregiver, which I love! Check out this resource: Transforming Compassion Fatigue into Compassion Satisfaction – 12 Top Self Care Tips for more ideas and suggestions. In addition to the cognitive learning throughout the day, there was also dedicated time to mind/body & sensory based activities to support and explore self-care themes. Part of the morning included engaging in stretching, movement, & deep breathing and during some of the afternoon I was able to introduce and lead everyone in an art experience focused on art journaling as a tool for nurturing emotional resilience. 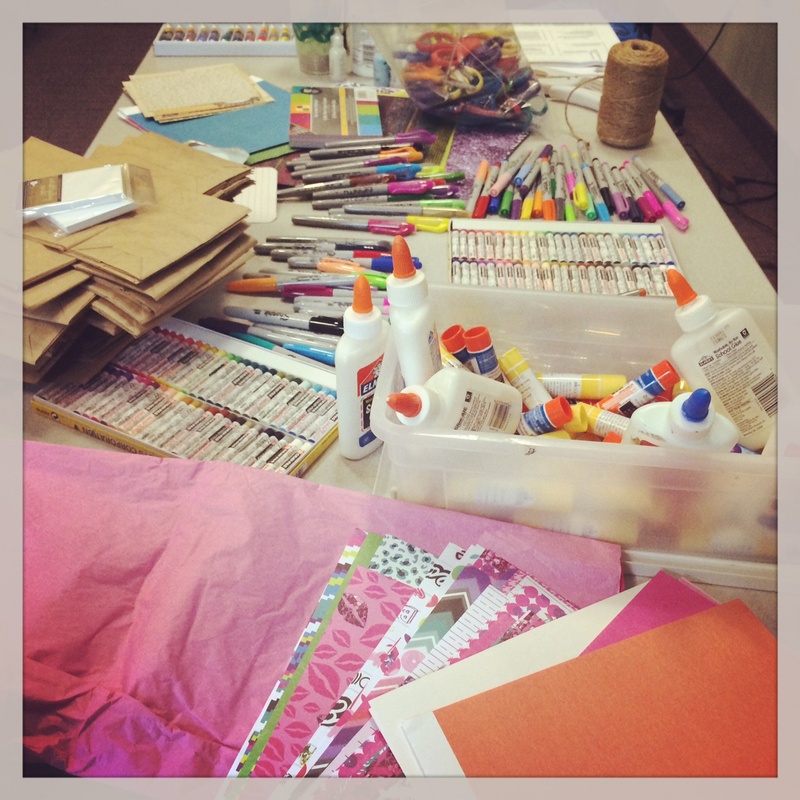 Everyone created paper bag art journals (check out this past post on how to make one!) as a tangible reminder of our supports, strengths, positive affirmations, and comfort. Each person also received an Artist Trading Card as an invitation to create an anchoring image that reflected a sense of peace and relaxation inspiration. 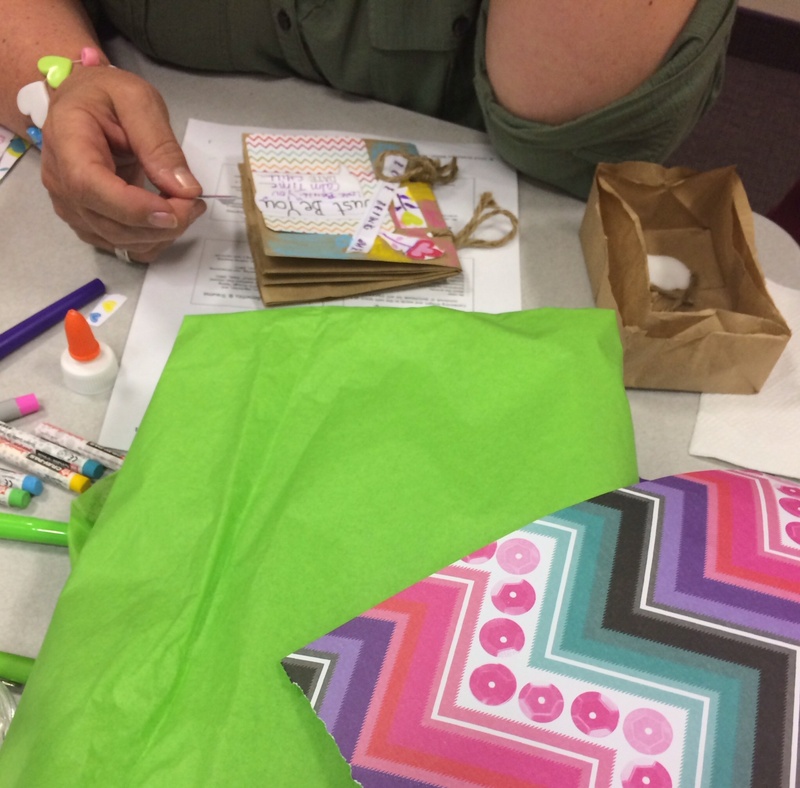 A variety of creative goodness was offered for materials such as acrylic paint, pastels, Sharpies, gel pens, printed paper of various colors and bright designs, tissue paper, as well as journaling cards & Smash pad paper. I also invited people to bring their own favorite quotes, sayings, images and inspiration related to resiliency, affirmation, and self-care. It was great to see the room buzz with book making and art journaling energy infused with both written and visual positive messages. 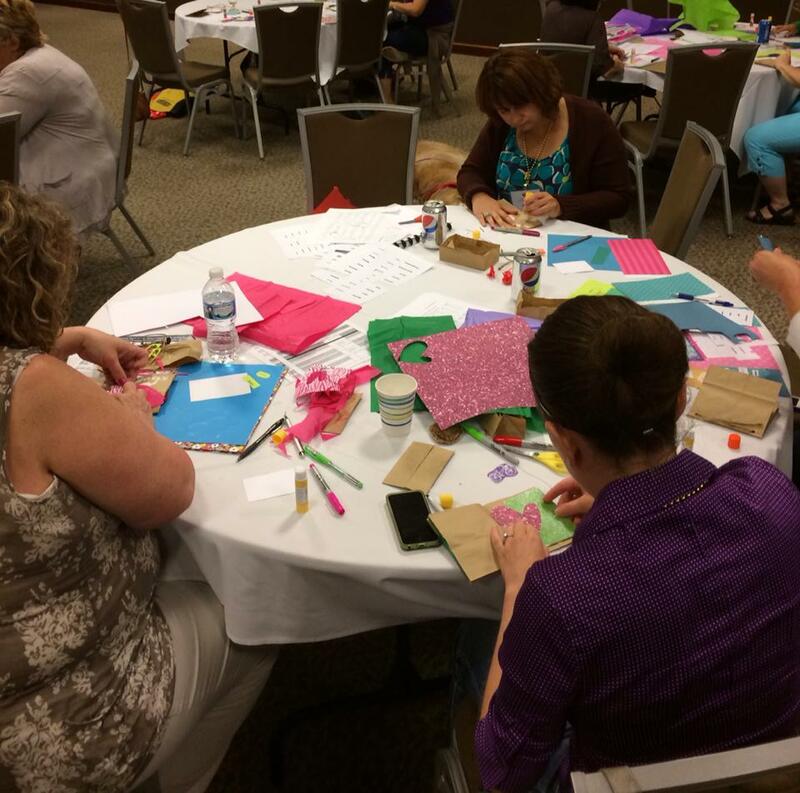 The group was encouraged to continue working on their handmade journal and ATC post retreat and to also incorporate its presence into a work space where it could be of help or support in times of need or support. 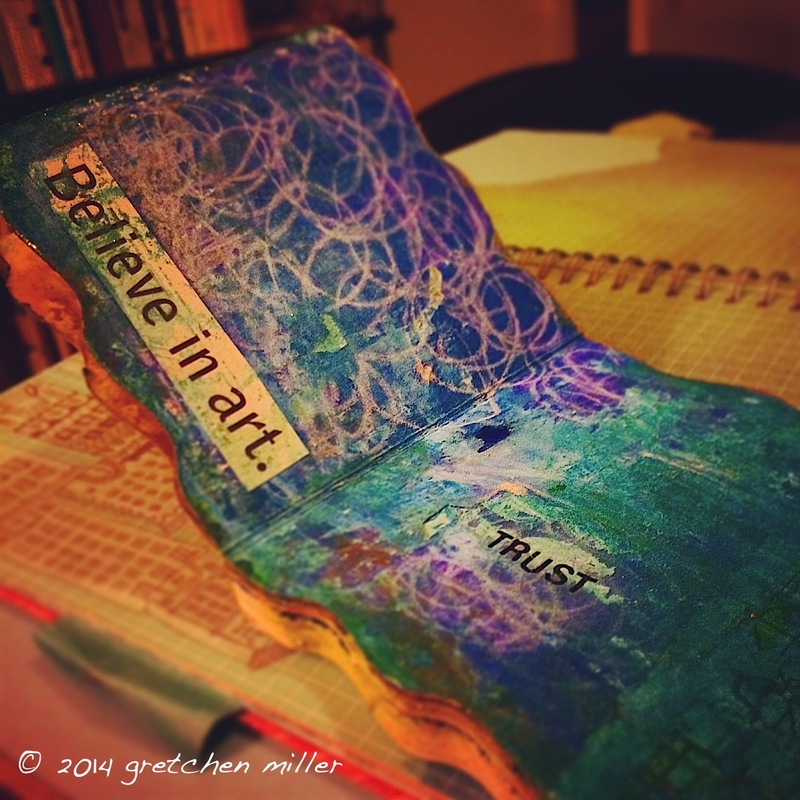 In relationship to this post’s topic, next month at the National Institute for Trauma and Loss in Children’s Childhood Trauma Practitioner’s Assembly, I’ll be presenting another workshop about Art Journaling’s Visual Voice in Trauma Intervention. 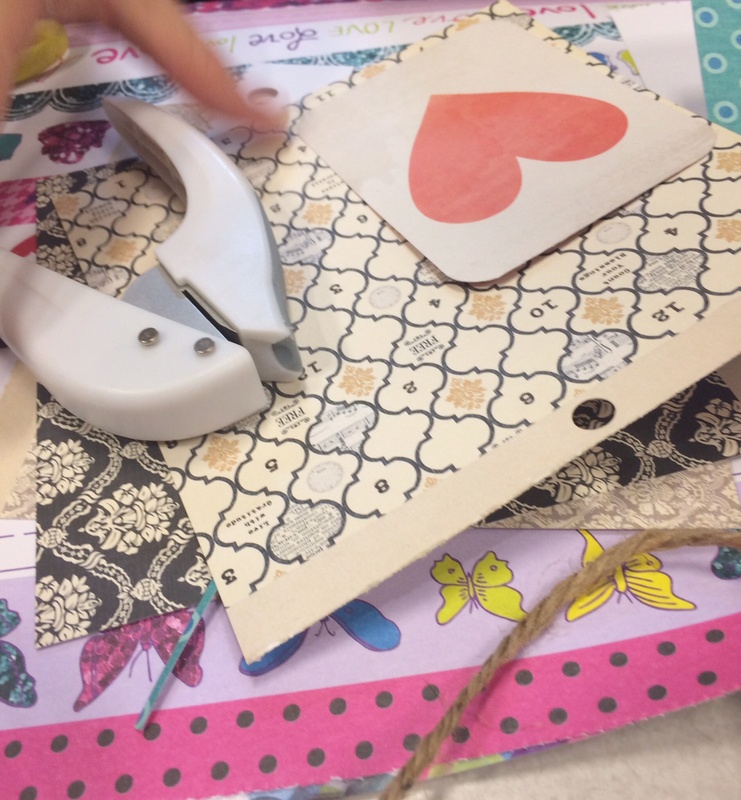 This hands-on workshop will explore the use of art journaling as a safe, contained space for processing emotional expression, promoting self-care, and sharing one’s personal narrative and intentions. 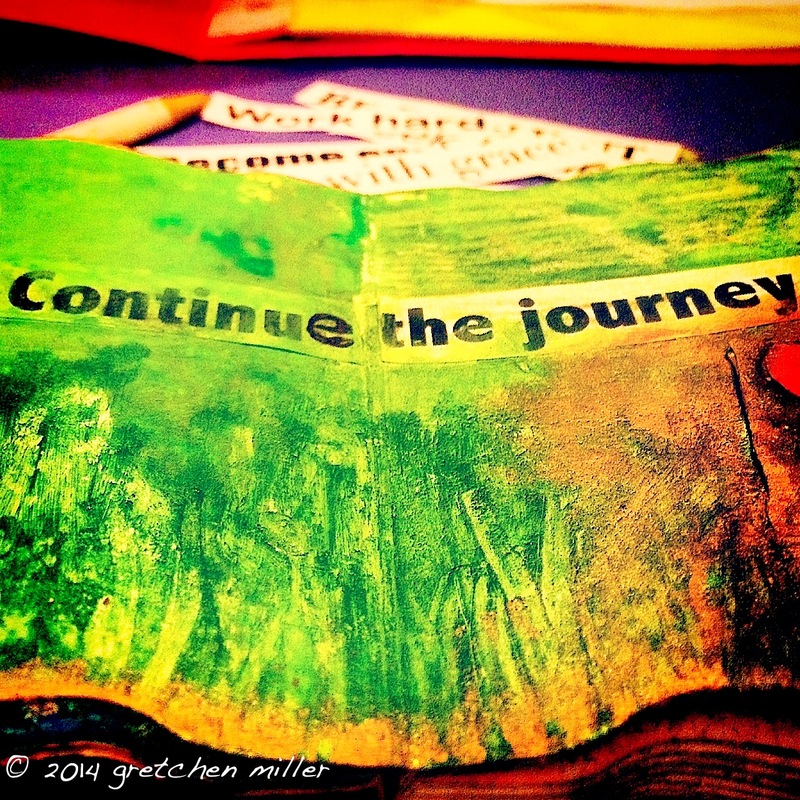 Content will include themes and the benefits of art journaling as a visual voice and means of trauma intervention with youth and women survivors of trauma. 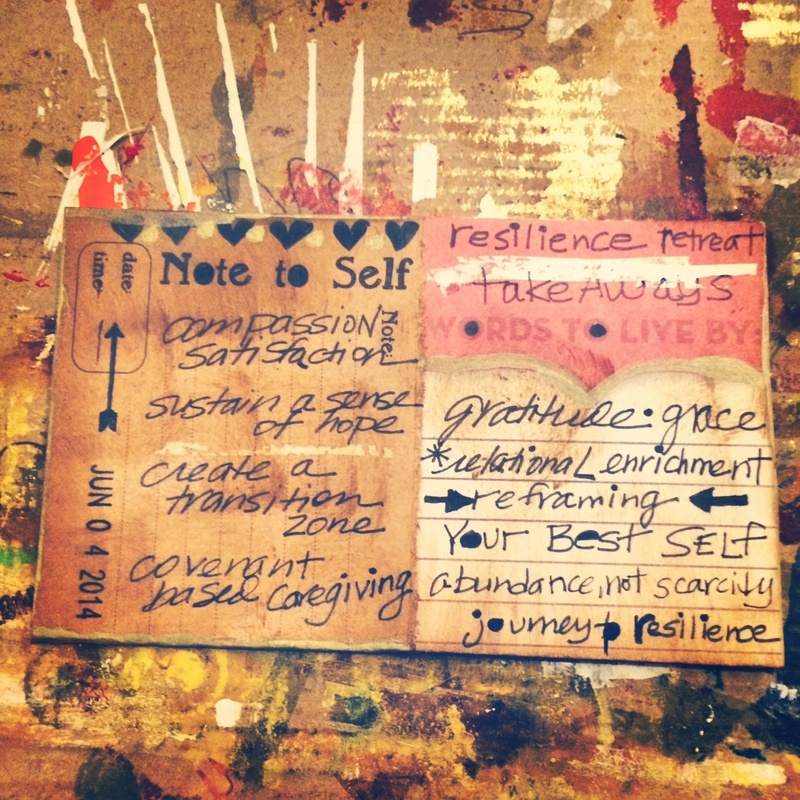 Participants will also engage in creating their own mini art journal with mixed media to identify and support their own professional self-care practices and intentions related to working with trauma & loss issues. Registration for this year’s Assembly is still open if you’re interested in attending! It was so wonderful to have a day to come together to honor self-care and the impact trauma work can have on our wellbeing, as well as learn and practice ways to manage, balance, and cultivate what supports our best self – at work, home, and in our relationships. Very grateful! 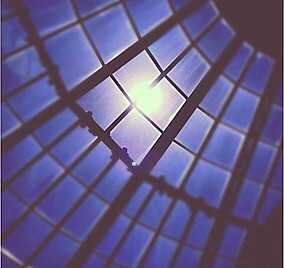 Since June, I have been taking photos of light with my iPhone and often posting them to Instagram. 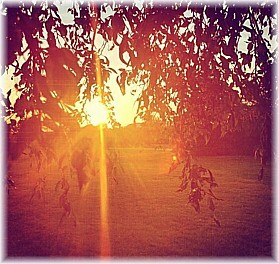 Over the last five months this practice of “following the light” has become a mindful reflection for gratitude, good energy, hope, inspiration, love, and connectedness. As I put the collection together for this post, the moments in each of the photographs are very memorable. 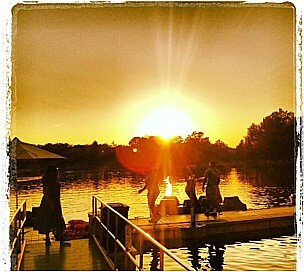 I remember fondly the details about where I was, who I was with or what happened during the unfolding, beginning, or ending of that specific day and moment of the photo. Often my photos of followed light were taken of the sun, sometimes the moon, or perhaps light reflected through a window or on a mirror. Through this process, the significance of light became a means to shine the way, be in the moment of what’s true and pure, as well as experience & share loving kindness and thankfulness for life’s abundance. The light in these photographs are inspired by not only nature or the surrounding environment, but also an inner connection of strength to manage those times when the light has trouble shining through or darkness begins to ascend. 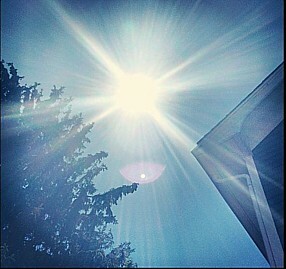 Being in the presence of light represents resiliency for me. These photos also remind me that some amount of light is always present somewhere: to find, to become, to grow, to shine, find comfort in, and be grateful for. The entire collection below includes 24 photographs I’ve taken in a variety of places: at home, work, on the go locally, or travels I’ve made this summer and fall to Michigan, Missouri, Illinois, North Carolina, Nevada, Kansas, and Florida. I am looking forward to offering a new workshop that will be offered at this year’s National Institute for Trauma and Loss in Children’s (TLC) Childhood Trauma Practitioners Assembly, Finding a Safe Place: Creating Safety for Domestic Violence Survivors through Art. This half day afternoon workshop on the Assembly’s first day will present some of my work addressing safety issues through art expression with youth and women survivors of domestic violence. In my current individual and group work with women, children, and adolescents, creating a sense of safety has a heightened and complex state beyond establishing a strong therapeutic rapport and alliance. Issues and themes related to safety and managing traumatic stress for survivors of domestic violence are increasingly impacted by feelings of intense worry, a constant state of fear, and living in relentless uncertainty. Addressing safety planning, shelter adjustment, confusing and frightening legal issues related to court, custody and visitation arrangements, as well as coping with difficult secondary losses such as leaving one’s home, separation from friends & family, belongings, pets or changing schools are often here and now realities. My TLC workshop will present the benefits of art expression in trauma intervention to provide a safe and creative space for survivors to re-establish, become comfortable with, and begin to find a sense of refuge in their lives again. 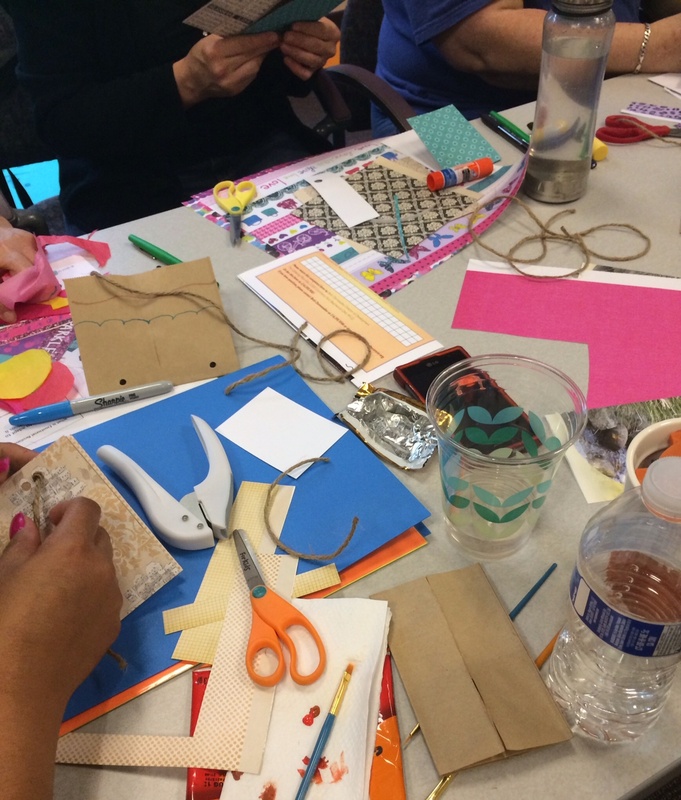 Through sensory based art experiences that support & promote emotional expression, strength based adaptive coping, relaxation, and builds on concepts of resiliency, survivors can also begin to be grounded in hope , compassion, and understanding. 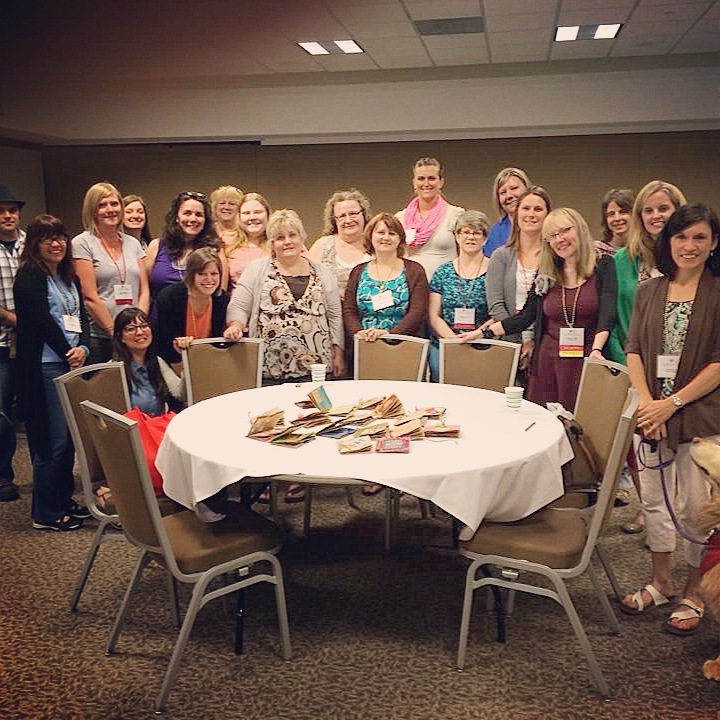 This year’s TLC Assembly, The Experience Matters (July 10-13, 2012) includes a variety of all day trauma workshops & topics, certification courses, and crisis training throughout the week that supports viewing and relating to trauma informed care as an experience. To learn more about this year’s Assembly, check out the full program of offerings here. Early registration ends soon on June 11.